By Madan Gupta Spatu : India is currently competing at the 2018 Asian Games in Jakarta and Palembang, Indonesia, from 18 August to 2 September 2018. It is India’s 18th appearance at the Asian Games. Asian games are the sports events organized by Asian countries after every four years in one or the other capital of an Asian country. They have become very popular and encouraged the growth of sports Stadia and other facilities throughout the continent. They have also inspired the school children to devote more attention to sports. Perhaps not many people know the name of the person who first gives the idea of the Asian games. They all know that the modest start of these games took place in New Delhi in 1951. It was G.D. Sondhi who, at the 1948 Olympics in London, proposed the formation of the Asian Games Federation, the Purpose was to organize the Aisin games every four years, midway between the Olympics. Eleven Asian countries took part in the 1951 Asian Games. The number of competitors for six sports was about 500. In the second Games (1955) at Manila (Philippines), 18 countries participated. The Third Asian Games were held in Tokyo (Japan) in 1959. 1500 sportsmen competed in 13 sports. Like this, fourth, fifth, sixth, seventh, Eighth and ninth Asian games, were held every fourth year at different Asian capitals, including Delhi. Guru Dutt Sondhi (10 December 1890 – 20 November 1966)was a sports administrator in India, manager of the Indian Olympic team at three Olympics, founder of the Western Asiatic Games (New Delhi and Patiala, 1934) and the founder of the Asian Games Federation (AGF; New Delhi 1951).Guru Dutt Sondhi was born on 10 December 1890 in Lahore (now in Pakistan) to a Punjabi Khatri family. His father was a barrister in Jalandhar, Punjab. He attended Government College, Lahore from 1905 to 1911 and then Trinity College, Cambridge, England from 1911 to 1914. He was interested in sports. During his study year in the Government College he was the half-mile and cross-country sports champion of University of the Punjab in 1911. He was also the member of Trinity College’s hockey team. 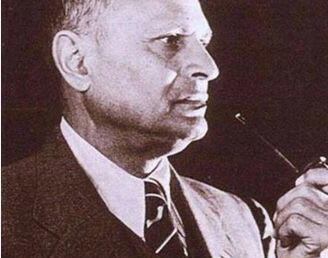 He then became the first Indian Principal of Government College, Lahore from 1939 to 1945. After partition of India, he joined Panjab University, Chandigarh and served at various positions as a sports administrator. He believed that sound body is necessary for a sound mind. The idea for Asian sports, going back to the Western Asiatic Games (1934) and the Far Eastern Championship Games (1913-1934), was reborn shortly before the end of the Second World War and discussed during the Asian Relations Conference held under the leadership of Jawaharlal Nehru shortly before India’s Independence in 1947. The idea was translated into reality during the 1948 London Olympic Games when India’s Prof. Guru Dutt Sondhi, Jorge B. Vargas (from the Philippines), and others called a meeting to form the Asian Games Federation (AGF). East Asian and Southeast Asian delegates, contemplating about recreating the Far Eastern Championship Games, eventually decided to join the meeting and to host the First Asian Games in Shanghai. This could not be realized due to the Chinese Civil War, meaning that Sondhi later agreed to host the event in India. Following this, the AGF was formalised at Delhi’s Patiala House on February 12–13, 1949, and delegates drafted and accepted a constitution. The charter members forming the federation were Afghanistan, Burma, Ceylon (now Sri Lanka), the Dutch East Indies (now Indonesia), India, Nepal, Pakistan, the Philippines, and Thailand, while the Iranian nominee could not attend. The delegates also decided to hold the Asian Games after every four years, midway between the Olympic Games; at a later meeting, during the First Asian Games, they agreed on the simple motto which was designed and proposed by Guru Dutt Sondhi: “Ever Onward”. The official flag, inspired by the flag Sondhi had designed for the Western Asiatic Games, shows a red sun that represents the ever glimmering and warm spirit of the Asian people. The first Asian Games began on March 4, 1951 in New Delhi. The Asian Games Association has choosen shining sun as its symbol. The AGF(Asian Games Federation) adopted ‘Ever Onward’, given by Pt. Jawaharlal Nehru, as the motto of the Asian Games. The emblem of Asian Games is a ‘bright full rising sun’ with interlocking rings. The Maharaja of Patiala presented the Torch and the flag for the first Asian Games and since then they have been carried from country to country. History: The idea of the Asian Games was first conceived by Prof. G.D. Sondhi. The suggestion for holding the Asian Games was first made in a conference of Asian Countries held in New Delhi in 1947 and Jawaharlal Nehru suggested that it be called Asian Games. Background: First held as West Asian Games at New Delhi in 1934 in which India, Afghanistan, Palestine and Sri Lanka participated. In view of the enthusiasm it was decided to hold these games once in four years at mid-point between the Olympics. However, these games were abandoned during World War II. It was Prof. Gurudutt Sondhi, a member of the IOC who encouraged by the sport-lover Maharaja Yadvendra Singh of Patiala and supported by Pandit Nehru, tried to revive these games at the Asian Relations Conference (ARC) convened by Pt Nehru at New Delhi in 1947. The Asian Athletic Federation (AAF) was formed in 1948 which decided to hold the first Athletic Championship at New Delhi in 1949. However, the plan did not materialise. Again in February 1949, the AAF met at New Delhi where it was renamed as “Asian Games Federation” (AGF). The AGF then decided to rename the Asian Atheletic Championship as “Asiatic Games”. Subsequently Pt Nehru suggested that these games be called “Asian Games.” The first President and Secretary of AGF were Maharaja Yadvendra Singh of Patiala and Prof. G.D. Sondhi respectively. Motto, Emblem and Torch of Asian Games The AGF adopted ‘Ever Onward’ given by Pt Jawaharlal Nehru at the motto of the Asian Games. The Emblem is a bright full rising sun with interlocking rings. The Maharaja of Patiala (Yadvendra Singh) presented a Torch and a flag for the first Asian Games and since then they have been carried from country to country. I have fond memories of Prof. G D Sondhi who was the person who coined the idea of Asian Games Federation at the 1948 London Olympics to organize the Asian Games every four years which fructified in 1953. After partition, in 1948 Prof Sondhi made my native place Subathu[Simla Hills] his permanent abode and continuously worked from his cottage till he breathed his last here in January 1967. Late Mrs Indira Gandhi was a frequent visitor with family comprising Rajiv and little Sanjay to his cottage in Subathu between 1950 to 1960 and I have her fond memories when Indira Gandhi would visit our shop with Mrs. Sondhi and her two daughters Ms Sonnu Rahman and other [name not recollecting] also accompanied. Ms Sonnu and Indira Gandhi resembled too much in looks and both had same style of quick talk and walk and a particular magnetic gait. Sonnu was lean and thin and would take a round of bazaar with an umbrella for purchase of grocery items. Later , the sisters settled in Pakistan and Mrs Sondhi shifted to Chandigarh. Prof Sondhi’s brother in law Mr Lall [ husband of Mrs Sondhi’s sister ] who was Inspector General of Police ,Punjab also settled in Chandigarh. Sondhi Sahab as he was addressed in our town, besides having interest in sports, gardening, art , culture etal; had a passion for theatre and he got built one in Lawrence Gardens in Lahore. He carried that memories of theatre in Subathu where he got a mini Open Air Theatre built in Government Higher Secondary School Subathu in 1961. I happened to participate in a play based on Chinese Aggression in 1962 and Sondhi Sahab used to come in our rehearsals and would guide us in acting with Late Shastri Dharni Dhar Ji. There he would share with us how I .S .Johar, and Balraj Sahni would prepare their dramas in Govt. College Lahore under his guidance. Lot of directorial suggestions and tips in scripts poured in during our rehearsals . A famous theatre personality Alkazi also used to be his guest in Subathu besides Nurul Hassan. He would show us slides of gardens of Japan, games , dramas and debates in our school with his typical running commentary. He shuttled between Delhi and Subathu in a very small white car perhaps Austin and we would gather to look at the lone vehicle in hills. Later he confided that he was his student in Govt. College Lahore . So Sondhi and Subathu became synonymous. He was a very good architect also and remained a keen observer of buildings being constructed in the vicinity. His name became synonym of construction and a household name . Today ,who so ever takes extra interest in construction of other’s buildings, satirically and in lighter vein , he is designated as ‘Sondhi Sahab in this town’. Sondhi Sahab was a very good example of communal harmony. He was a Hindu, married to a Christian lady, and their daughters went in Muslim families. Mr Navjeevan Khosla IAS , former finance secretary in Punjab Government is closely related to him. Mr Amar Lal Sehgal, a senior shopkeeper of Subathu used to handle his mails even after his death and his one of personal secretaries appeared in Ivory Merchant’s film Shakespearewallah with Shashi Kapoor which was shot in the cemetery adjacent to Bamboo Lodge. In Subathu ,all we could do after his death , was naming a road leading to his Bamboo Lodge as ‘Sondhi Road’ that too is not in a good condition. I was pained when neither Govt. of India nor media mentioned contributions of Father of Asian Games during the inauguration of Asian games . I cherished his cottage in Subathu could be converted into a museum which will always portray the contribution of Sondhi Sahab who sojourned here for about two decades [1948-1967] and translated his vision into reality giving shape to Asian Games. Pakistan organized Sondhi Debates Challenge Cup 2012 in Lahore from September 14 to 17, 2012. And India also participated in the event. It was silver jubilee year of Lahore College of Arts and Sciences. Since 2009 ,Sondhi Cup is being organized every year in the memory of Prof. Guru Dutt Sondhi who was the first Indian Principal of Govt. College Lahore from 1939 to 1945. When I came across an article ‘One man, many passions’ by Shaista Siraj-ud-Din tracing the history of Indian Hockey Team in Los Angles and Berlin in 1932 led by Prof G. D .Sondhi who was the first Indian Principal of prestigious Government College ,Lahore, I became very nostalgic and was down the memory lanes of childhood. The Himachal and Central Govt. must come forward to give a befitting tribute to Prof .Sondhi by constructing some monument in Subathu [HP]in his memory. At least the dilapidated condition of his Open Air Theatre in Subathu can be improved and state level cultural programmes be organized as it had been a tradition when Prof Sondhi was alive.